Greetings from Holly Springs Farmers Market! We’re taking over FMC’s Instagram this week to share with you a look into our market. The market is loved by our community, and for good reason! As a new “visitor”, there are a few things you ought to know to fully appreciate the market that surrounds you. 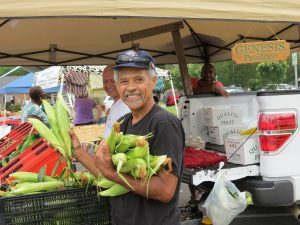 We are a North Carolina producer/grower market committed to providing locally grown and artisanal fresh food; we connect farmers with consumers. 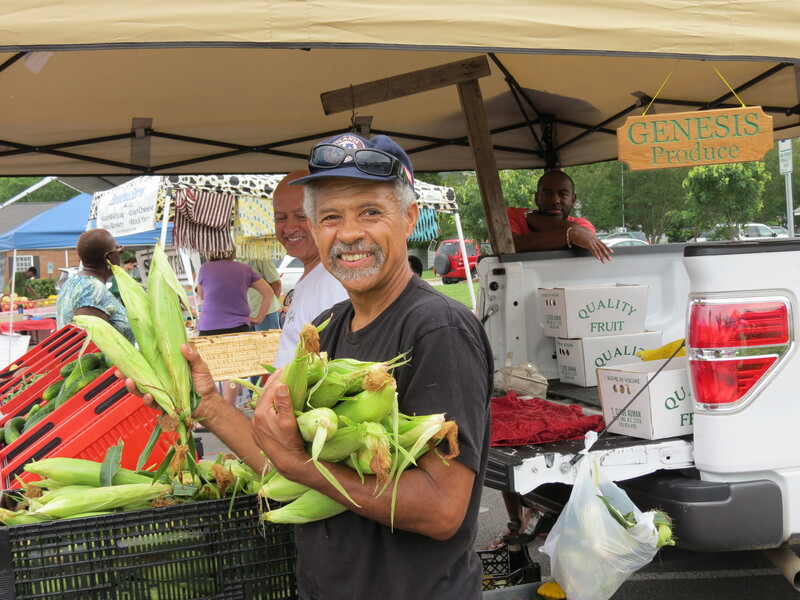 Our market offers a wide array of products including farm fresh produce, microgreens, herbs, and flowers; farm-direct meats; eggs from free-range chickens and ducks; local honey; North Carolina seafood; and artisanal products such as baked goods, pastas, sauces, preserves, condiments, cheese, coffee, beer, mead—and much more! Our market sprouted in 2007 with just a handful of local vendors. Our town started the market as a way to enhance the lives of our citizens with fresh local produce and meats, and to provide a place to foster community in the downtown district. Today, we are ranked as North Carolina’s most celebrated farmers market…six years in a row according to the American Farmland Trust Farmers Market Celebration contest…and we were ranked ninth nationwide in 2017. We will be kicking off our 12th season on May 5th, 2018 and are currently in our 4th winter market season. In addition to providing fresh local food, our vibrant regular season farmers market attracts customers with live entertainment and family-friendly events such as cooking demonstrations, kids’ activity tents, food truck rodeos, “touch a truck” experiences with our police and fire departments, our SproutFest kids appreciation day, and the Battle of the Badges chili cook off to name just a few. Day-to-day operations are run by a part-time market manager supported by the Town of Holly Springs Planning & Zoning Department. We receive a lot of support from the community, with a loyal customer base that shares our posts. Local businesses work with us to provide appealing prize packages for our contests. We rely on such donations as well as sponsorships and vendor fees for our operating budget. Like many Raleigh, NC suburbs, Holly Springs is experiencing rapid development. In 1990 our little town had less than 1,000 residents—we have more than 25,000 today and continue to blossom! Much of this growth is attributed to accolades for the town’s safety, affordability, job market, and overall livability. All these newcomers to the area most likely hear about us via social media; we are constantly promoting not only the market, but also our individual vendors. If someone were to drive down Main Street on Saturday morning, we’re pretty hard to miss, being that we are directly across from Town Hall most Saturdays. The town helps to get the word out about the market by including ads in their newsletters, featuring slides for the market on the informational screens inside town facilities, placing banners downtown, and helping to promote our events online. We’ve come a long way from where we began. We had more than 35 vendors on our roster and saw more than 21,000 customers in 2017…representing our biggest year to date. We already have even broader offerings in 2018. We are so excited to take over FMC’s Instagram account because we have some fantastic vendors and a wonderful, supportive community we’d like to share with you! Running a local farmers market can have its challenges—but knowing that area farmers are thriving and that your community has access to healthy local food really helps make those 100° market dates worthwhile.